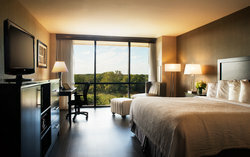 Take a tour of Hotel ML through our photo gallery! 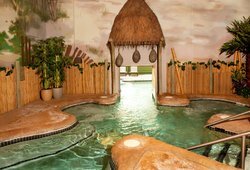 Discover the variety of facilities here at our hotel, from our restaurant and bar, to our conference center, and fun-filled CoCo Key Water Resort. Dine at Talia’s Restaurant and T-Bar for classic entrees with homestyle American flair and late night drinks until 2 AM. 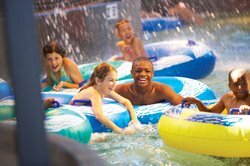 Host a corporate retreat or full banquet at our sprawling event center or save on your next family vacation with our water park packages! 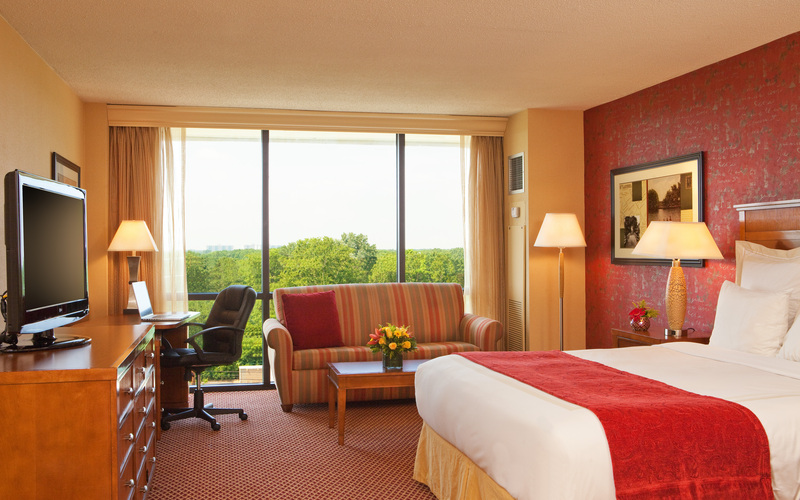 Ideally located for leisure and business travelers alike, The Hotel ML offers guests ease of highway access and a close proximity to sports complexes in Philadelphia, the Camden Waterfront, and business parks in Moorsetown. 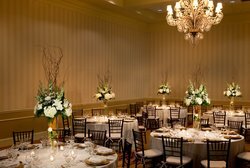 Our hotel is centrally located for guests looking to visit Joint Base McGuire-Dix-Lakehurst, BB&T Pavilion, or several award-winning wedding venues in South Jersey! Park for free in our hotel parking lot. For electric vehicles, we have two car charging ports. 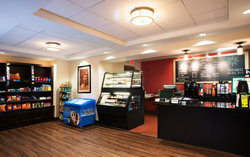 Public areas accessible by all, including restaurant, meeting space, coffee shop, and restrooms. See our full list of accessible areas. 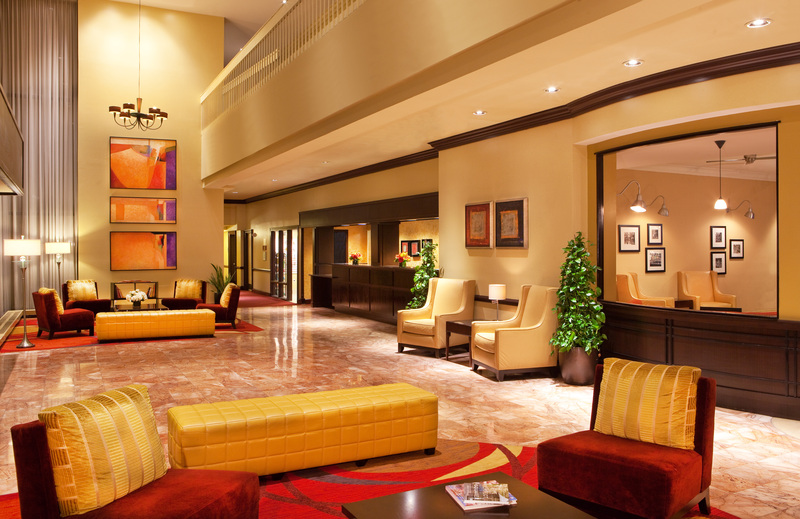 Our 24-hour front desk is always open to assist with express check-in and express check-out, complimentary copies of the Philadelphia Inquirer on weekdays, and arranging shuttle service. Late check-out is available for a small fee, based on availability. 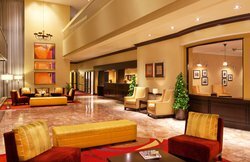 Our Concierge Level Lounge comes with evening refreshments and continental breakfast with whole fruit, pastries, and juice. 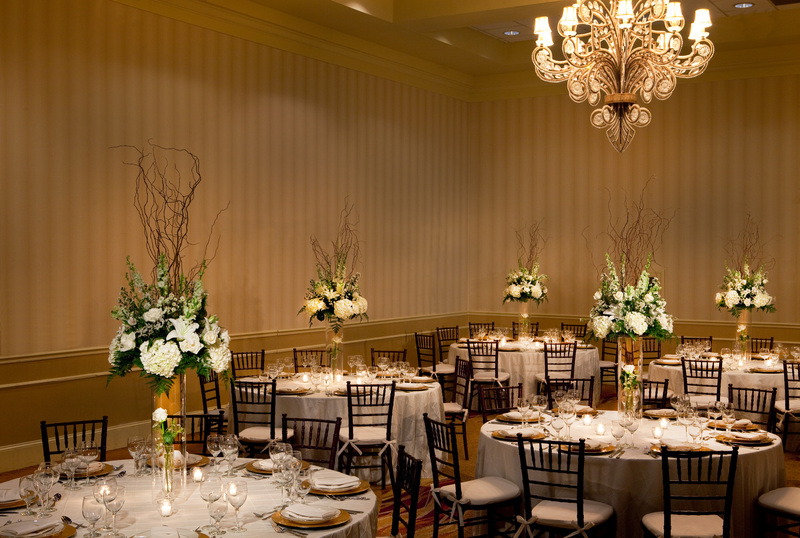 Easily travel to wedding venues, local restaurants, and other points of interest in Mount Laurel! 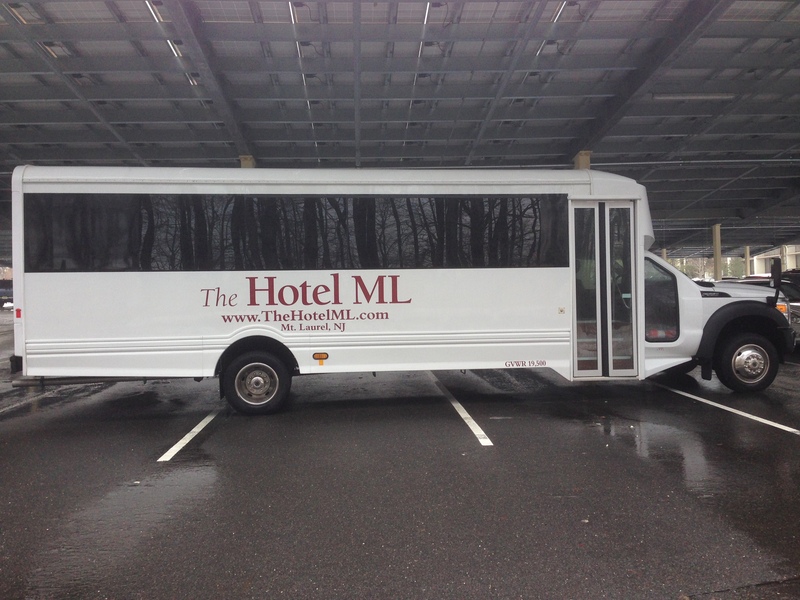 Our shuttle service operates within a 5-mile radius of Hotel ML. 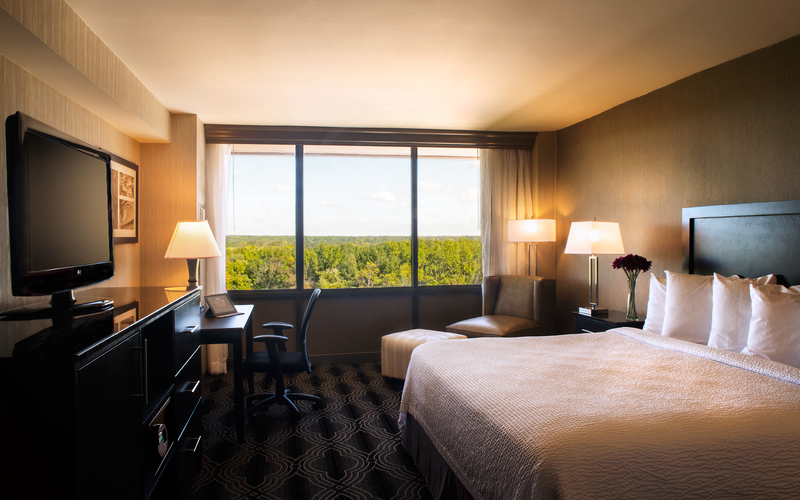 Simply call our front desk to check availability and schedule shuttle service. 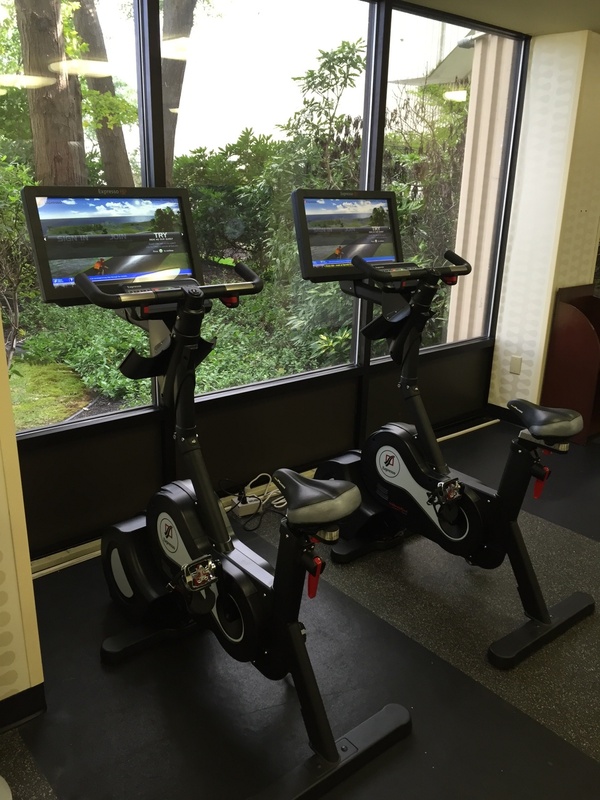 Enjoy some light cardio on your own schedule at our 24-hour fitness center. 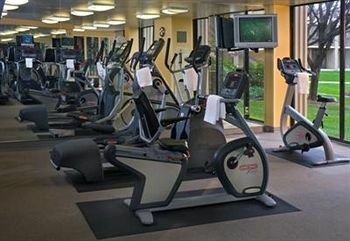 Our fitness center requires guest key access and overlooks our outdoor pool. Work out on the universal gym, spinning bikes, treadmills, and ellipticals. Work out on spinning bikes, treadmills, ellipticals, and on the universal gym. 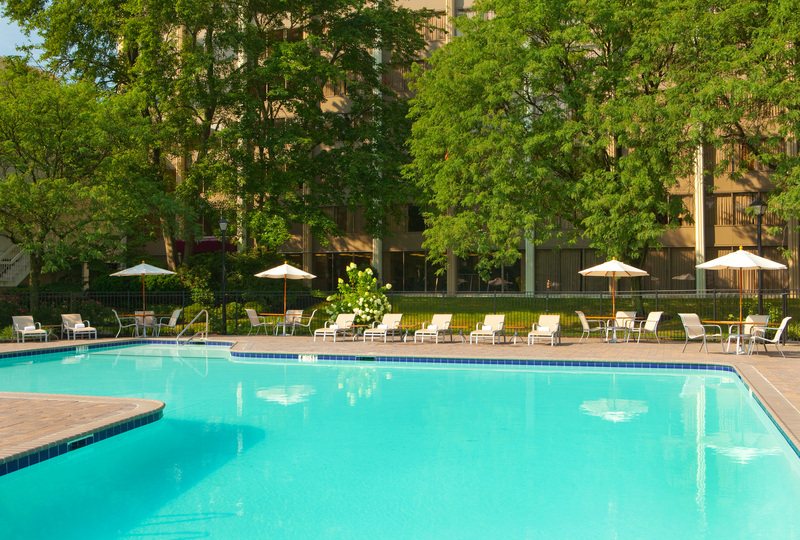 Swim laps from 10 AM – 10 PM. 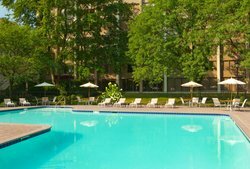 Our seasonal outdoor pool ranges from 3 feet to 5 feet deep. Forgotten something? 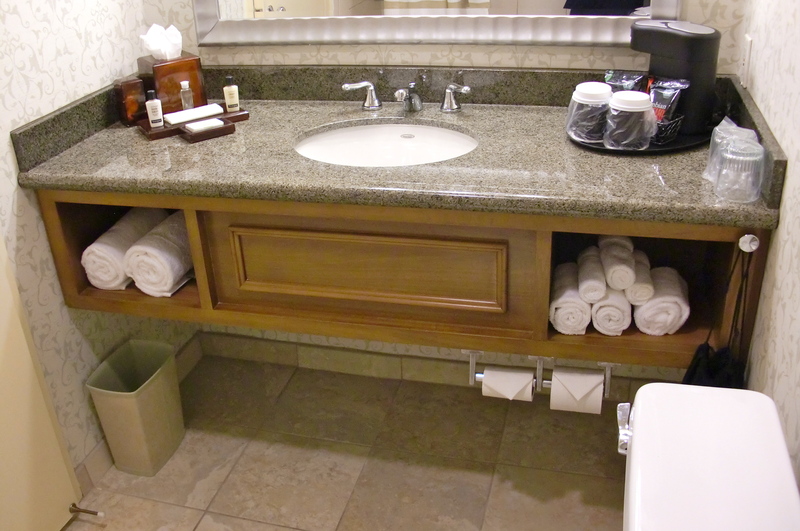 Our on-site convenience store sells toiletries, pantry items, and sweet ‘n’ salty snacks. 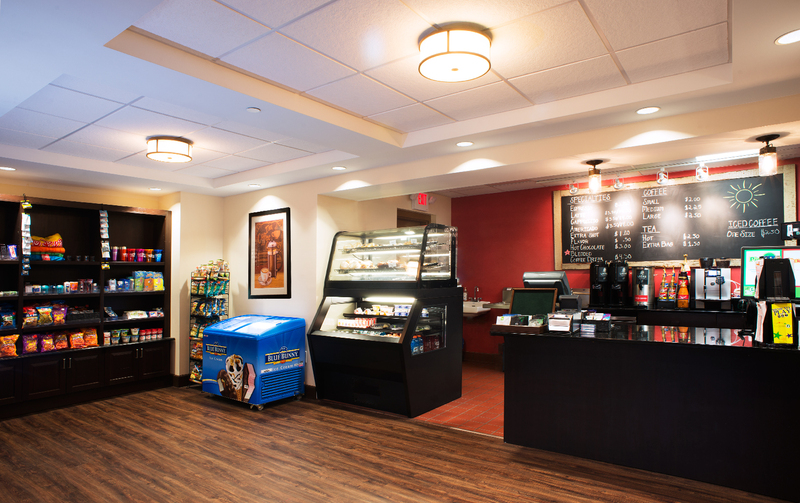 Stop by on weekends for hot coffee. Catch up with friends after a day of meetings at T-Bar! 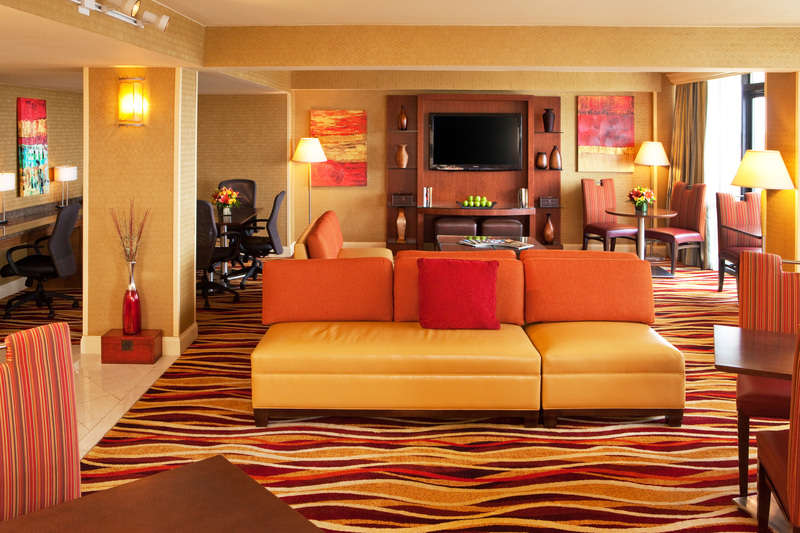 Relax and unwind in one of the booths while current events or sports games play on the many flat-screen televisions. 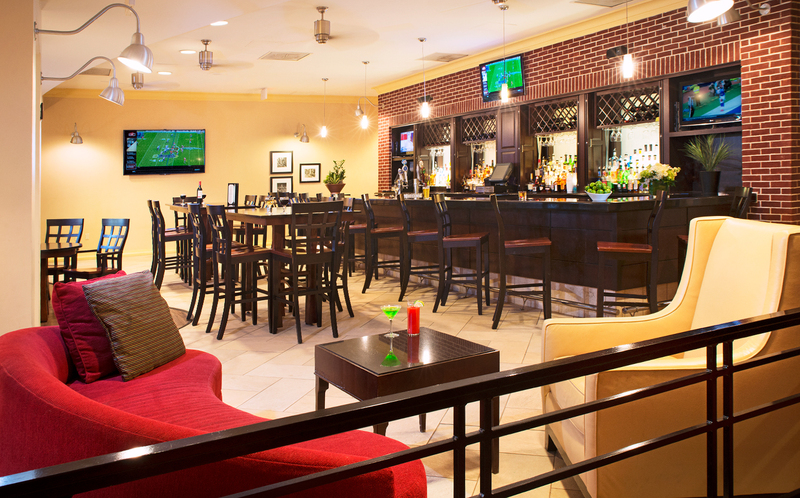 The T-Bar is your oasis to kick back and reconnect over Happy Hour drink specials. 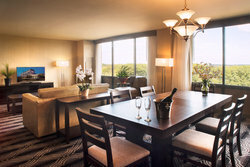 T-Bar offers an excellent selection of beers, tailor-made cocktails, and hand-selected wines. 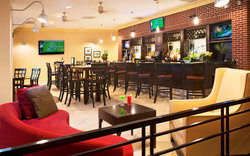 The bar is open daily until 10 PM, with extended hours on weekends until 2 AM. On the menu is classic American entrees, healthy options, and favorite dishes that everyone enjoys when dining out. 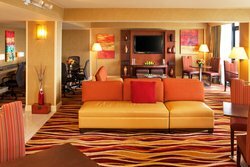 Have a productive and efficient stay at our hotel near Camden, New Jersey for your next work trip. The Hotel ML boasts meeting rooms, complimentary Wi-Fi, and Concierge Level rooms with a private lounge. 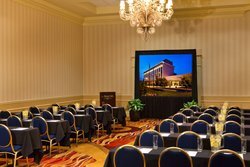 In addition to our excellent location near state government buildings, we offer an exclusive government rate for business travelers. Travel with ease to your morning meeting in Moorsetown at local offices like Lockheed Martin, TD Bank, Subaru, American Water, Campbell Soup, and Virtua Medical Group. Contact our sales team about our exclusive corporate rates before your next business trip! 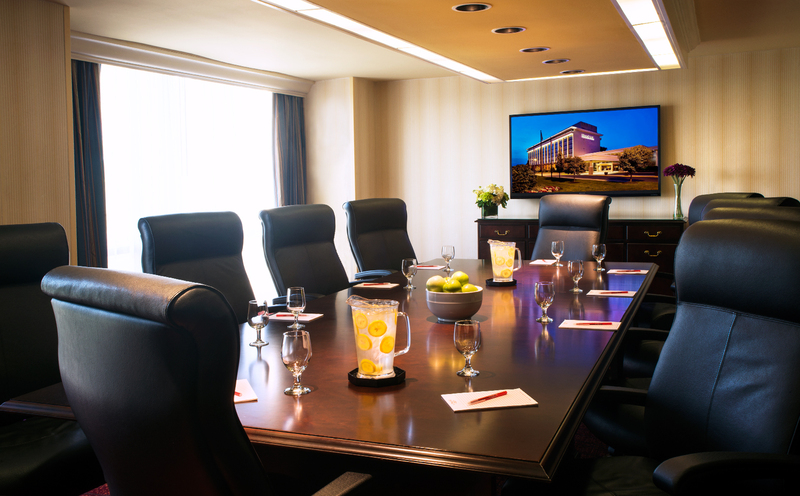 Contact our sales team to learn more about our exclusive corporate rates and Travelers Rewards program before your next business trip! With over 14,000 square feet of space to work with, it's easy to plan your next large-scale event at our attached conference center. 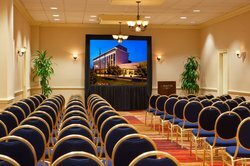 Our experienced events team is here to guide you through the planning and set-up of a professional conference or elegant wedding at the Hotel ML. 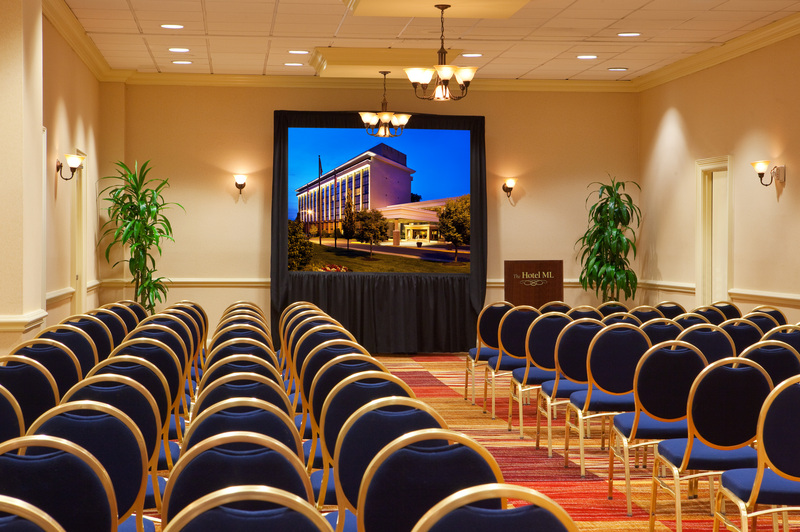 A true one-stop-shop, we have on-site audiovisual support and catering to enhance your event. Book everything at once with the assistance of our team who’ve partnered with local vendors and taken the work out of your hands. 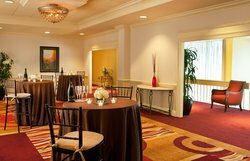 Looking to host your wedding guests at our hotel in Mount Laurel? 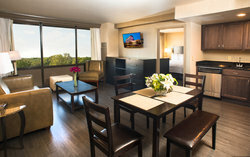 We offer group room blocks and shuttle service within a 5 mile radius. And a number of pre-function spaces and breakout rooms! 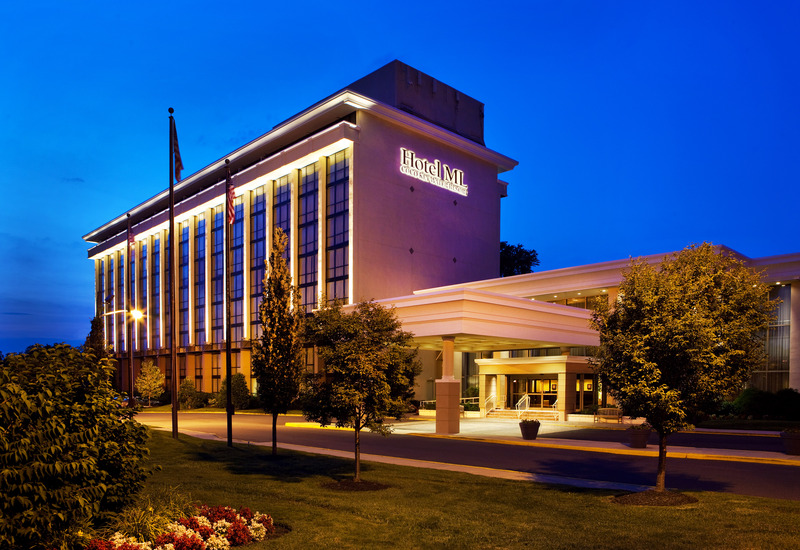 Voted South Jersey’s “2018 Best of Biz: Hotel,” we understand that a focused environment is a crucial element of any successful business event. 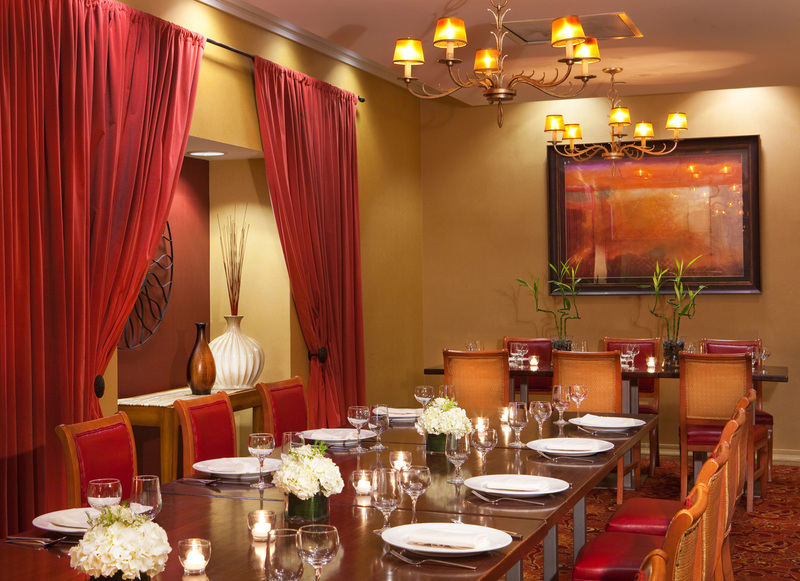 Our team is here to help you plan the perfect business dinner or private party. Guests are required to purchase a wristband for entry. 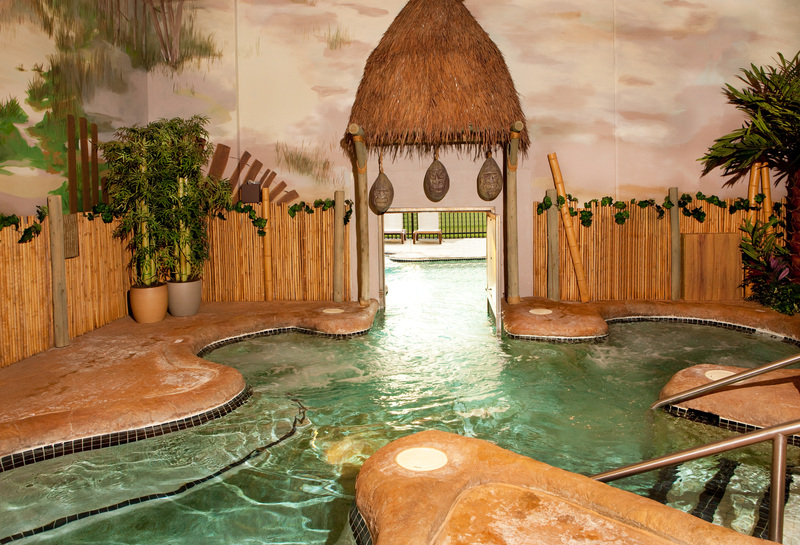 Find the most value for your vacation with one of our water resort packages! 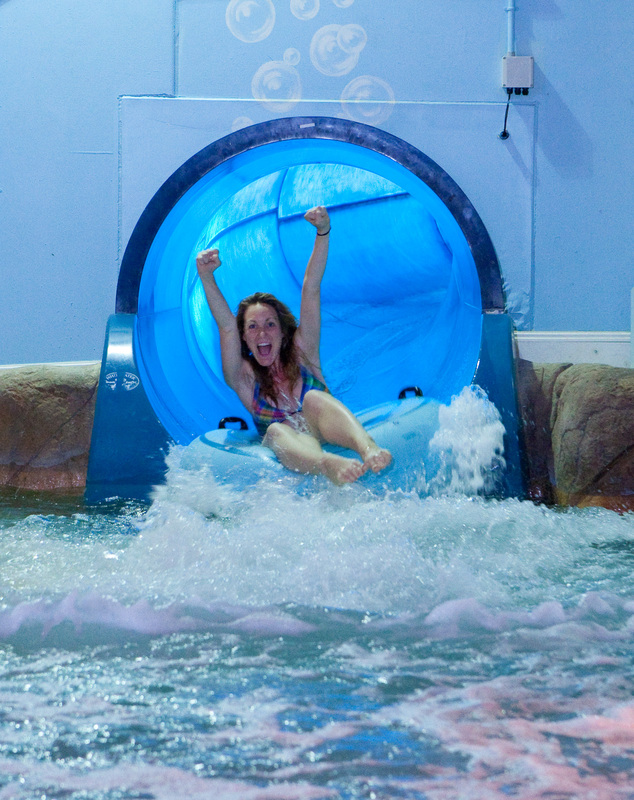 Check the hours and dates for Coco Key Water Resort Mount Laurel to see when the park is open. 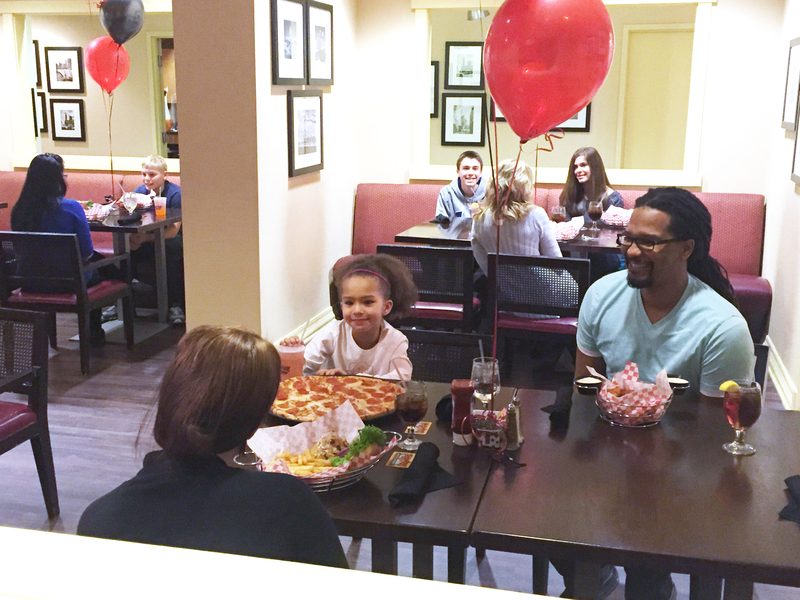 Book a custom birthday party today by calling our Groups team at 856-802-3928 or by email. Guests of the Hotel ML have towels provided. Locker rentals are available on a first-come basis. Life Vests are available at the First Aid stand. Licensed lifeguards are on duty, but we recommend non-swimmers wear USCGA approved life vests. Height restrictions are posted next to appropriate water attractions. Float down Coconut Grove Adventure River on tubes. 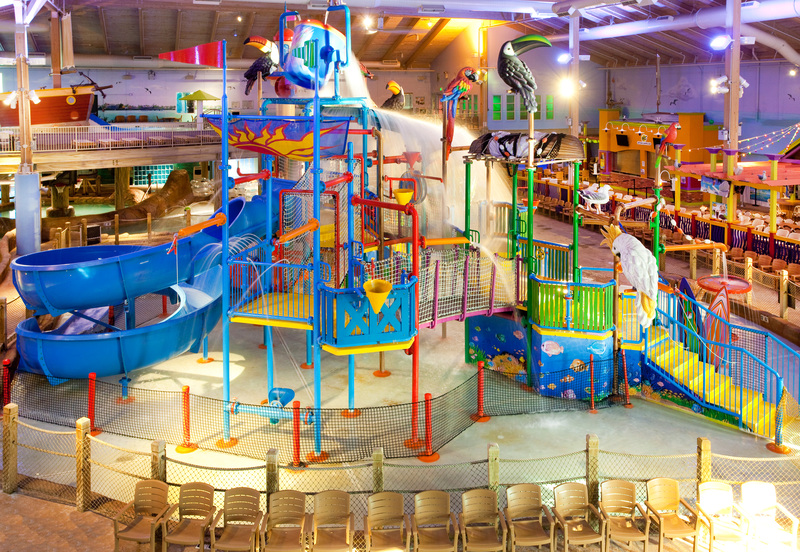 Have your best family vacation yet at our water park hotel in Mount Laurel, New Jersey! CoCo Key Water Resort is home to rides, slides, and a variety of water activities in the form of aquatic playgrounds and obstacle courses. 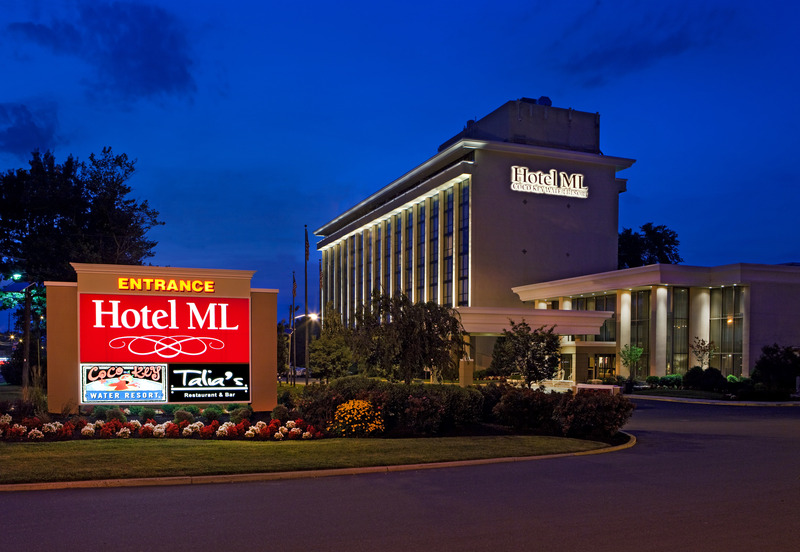 Here at the Hotel ML, we offer a variety of deals and packages to help you save and also explore some of our favorite attractions on this side of the Delaware River. Stay in our family-friendly accommodations with space for everyone to recharge after a day of fun. 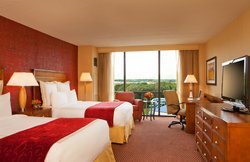 Book your stay today at our comfortable and convenient hotel in Mount Laurel, NJ on the more affordable side of the river! 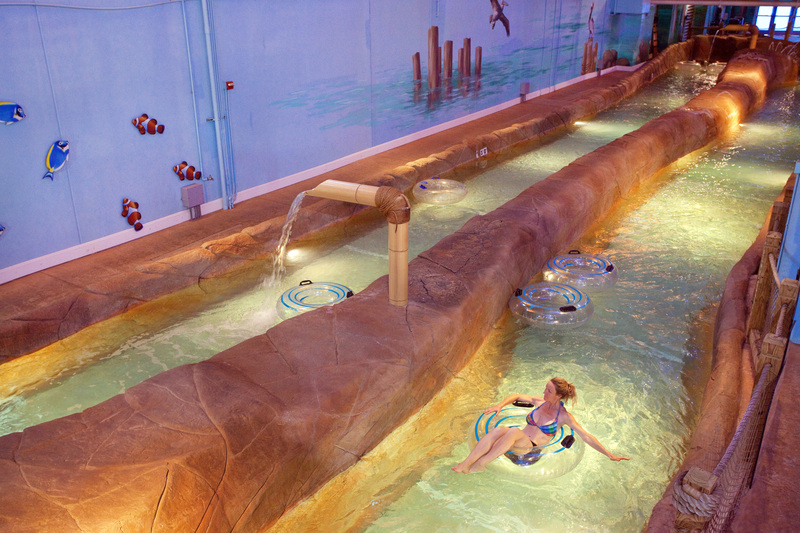 For the young and young at heart, CoCo Key Water Resort offers water slides galore, splash pads, and a variety of aquatic activities. Enjoy additional savings with our water resort packages that combine family access to the water park with our comfortable accommodations at Hotel ML. 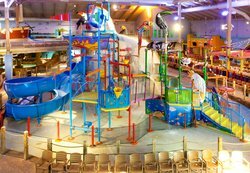 There’s a variety of water slides for all levels of thrill-seeker, from Shark Slam to Barracuda Blast and Pelican Plunge.